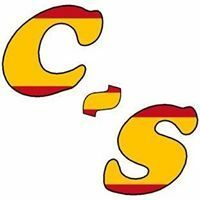 ConvoSpanish also offers Group Spanish Conversation Classes to students who are looking for practicing their conversation skills while interacting with other classmates. Therefore, these classes are a great option for students who are interested in practicing with other people (beside the teacher) and learning different accents. Online group conversation classes in Spanish (Skype or Google Hangouts). Small size group (2-3 people). Different group levels are available. Spanish native speaker from Spain as a moderator. Classes of 60, 45 and 30 minutes are available starting at $8. Cheaper than Individual Conversation Classes. Please contact me directly before purchasing any class, in order to discuss topics such as availability and scheduling.